If contest doesn't load, click here. • General. By submitting an entry to this contest, brought to you by WJXT Channel 4 (“Station”) and Be Still Float (“Sponsor”), the entrant acknowledges and agrees to all of these official contest rules (“Official Rules”). NO PURCHASE NECESSARY. Void where prohibited. By entering the contest, entrants agree to waive any right to claim any ambiguity or error in these Official Rules, or the contest itself, and agree to be bound by these Official Rules and by all decisions of the Station, whose decisions are binding and final. Failure to comply with these Official Rules or any contest specific rules may result in disqualification from the contest. • Eligibility. The contest is open only to legal U.S. residents who are 18 years of age or older at time of entry and reside in the local viewing area, and is void wherever prohibited or restricted by applicable federal or state laws and regulations. Employees of Station and Sponsor and their respective parent companies, subsidiaries, affiliates, officers, directors, agents, advertising and promotion agencies, and members of these employees’ immediate families (spouses, parents, children, and siblings and their spouses) and those living in the same household with these employees, are not eligible. • How To Enter. The contest begins on March 27, 2019. Deadline to enter is April 10, 2019. To enter, go to the News4Jax contest page at news4jax.com/contest. Entrants must be the registered subscriber of the e-mail account from which the entry is made. You may only enter one time during the contest period. Multiple entries received from any person or e-mail address or telephone number will void all such additional entries. Entries generated by a script, macro or other automated means will be disqualified. Entries that are incomplete, illegible or corrupted are void and will not be accepted. All entries become the property of the Station and will not be acknowledged or returned. By checking the relevant box or selection in the registration form, entrants agree that the Sponsor may contact the entrant via email or phone with information about pre-selected goods or services. If you do not wish to receive these materials do not check the relevant box in the entry form. If at any time you do not wish to receive these materials in the future, please use the unsubscribe procedures contained in the email message. • Selection of Winners. One winner will be chosen randomly. All Contest winner(s) must execute and return any required affidavit of eligibility, release of liability, publicity release and/or prize acceptance form within ten (10) days of winning or being notified of winning (sooner for time sensitive prizes), or prize(s) will be forfeited and an alternate winner may be selected. If a potential winner cannot be contacted, fails to sign and return any required affidavit of eligibility, release of liability, publicity release and/or prize acceptance form within the required time period, or if a prize or prize notification is returned as undeliverable, the potential winner forfeits the prize. Station reserves the right to contact all contest entrants to confirm the registration entry. The official registration list will remain the property of Station and will not be distributed to the Sponsor without the specific approval of the contest entrant through the use of the Opt In check box on the registration form. • Prize. 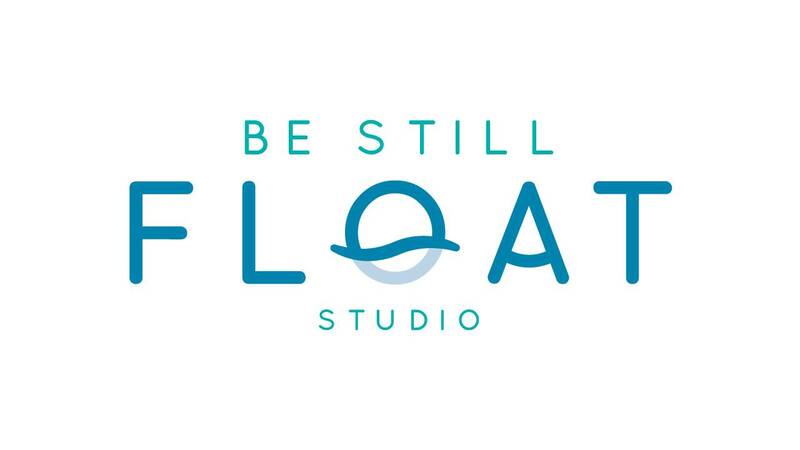 One winner will win a 60 minute float session for them and a three friends. Total value of $360. Unless otherwise stated, all prizes or prize certificates must be picked up at Station (at the address listed below) during normal business hours. Winners may be asked to show a photo ID. There will be no substitution, transfer or cash equivalent for prizes, except at the sole discretion of Station, which may substitute prizes of comparable value. The odds of winning depend on the number of eligible entries received. Payments of all federal, state and local taxes related to the award of the prize are solely the responsibility of the winner. The winner may be required to fully complete and submit an IRS Form W-9 for receipt of the prize. • Disclaimer and Representations. Winner(s) assumes all liability for any injuries or damages caused or claimed to be caused by his or her participation in the contest and/or the acceptance and/or use of any prize, and releases the Station and Sponsor and their respective parent companies, subsidiaries, affiliates, officers, directors, agents, and employees, from any such liability. Neither the Station nor the Sponsor, nor their respective parent companies, subsidiaries, affiliates, officers, directors, agents and employees are responsible for: the failure of any entry to be received by the Station due to computer failures of any kind, traffic congestion on the internet or at any website, telecommunications, network, electronic, telephone or mobile service outages, delays, busy signals, or any equipment malfunctions or other technical difficulties that may prevent the Station from receiving any entry submission; entries that are stolen, misdirected, garbled, delayed by computer transmissions, lost, late or damaged; any injury or damage to the entrant's or any other person's computer related to or resulting from participation or downloading any materials in this contest; or any human errors, any inaccurate transcription of entry information, errors in any promotional or marketing materials or errors in these Official Rules. If applicable, text message and data rates may apply, and the Station is not responsible for any fees incurred by an entrant for any method of entry. • Winner Announcement. The winners will be contacted by email from WJXT. For the name of the winner(s), send a self-addressed stamped envelope for receipt within 60 days following the end of the contest period to Station at 4 Broadcast Place, Jacksonville, Fl. 32207 Attn: Contest Winner List, or request it online at contest@wjxt.com. Be sure to specify the name of the contest for which you are requesting the list of winner(s).